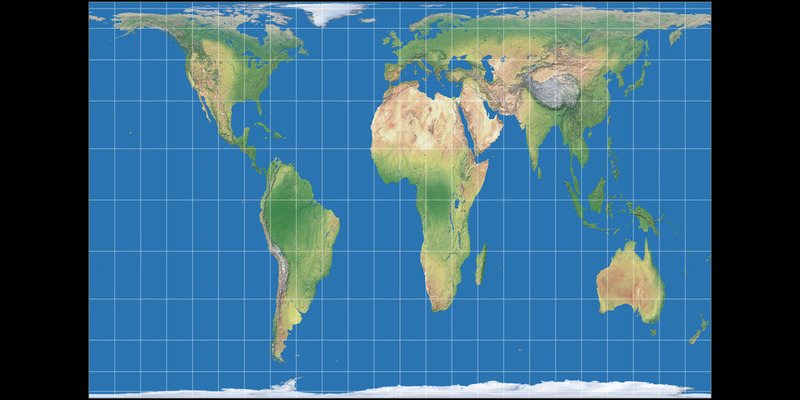 Yet another equal-area pseudocylindrical projection? On my website I already list almost 50 projections of this type (and believe me, there are even more), including customizable projections like Hufnagel and Sinucyli; with the generalized Wagner VII/VIII you can at least create »pseudo-pseudocylindrical« maps, and Wagner IV would be customizable, if only anyone would care to implement the options provided by Wagner. So, what's this about? Why does someone sit down and even bother to launch another thing like that? Actually, there are good reasons for that. Let’s take a look at this. But while all these other equal-area projections mentioned above have been around since decades or even more than a century, while they are well-known to any decent cartographer and have been used in various atlases – they obviously remain unknown to the general public. Yet there is another projection that gained some popularity and mostly likely, looks familiar to most people: The Robinson projection, created by by Arthur H. Robinson in 1963. It belongs to the compromise class of map projections, i.e. it preserves neither shapes nor relative size of areas but tries to balance out a compromise that simply »looks right«. The result is an intermediate form between the Eckert IV and Wagner IV projections: It has pointed corners like the Wagner IV but the curvature of the outer meridians is more similar to Eckert’s. So, do we need this? 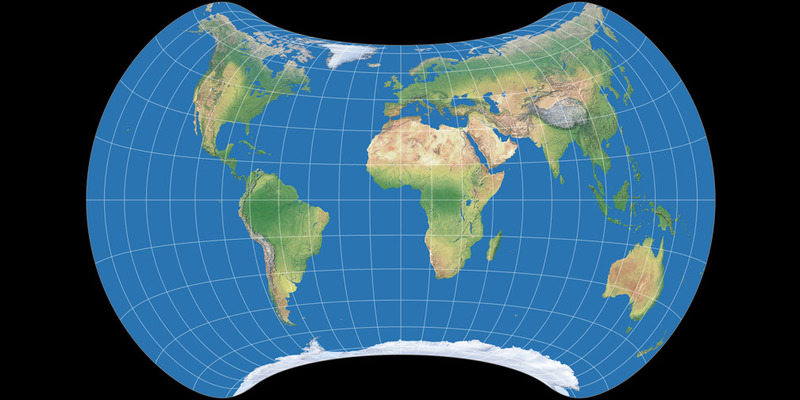 Let’s come back to the question I asked in the beginning: Do we need another pseudocylindric equal-area projection? Actually, no. But: The Equal Earth projection is a well-balanced projection, which might »look right« to many people, because of its resemblance to the Robinson projection. Moreover, it already has gained some attention  – and I think that’s exactly what it is about: Gaining attention. Attention is the one thing that is badly needed. As I’ve said above, there are dozens of great equal-area projections, but they have remained largely unknown to the general public. 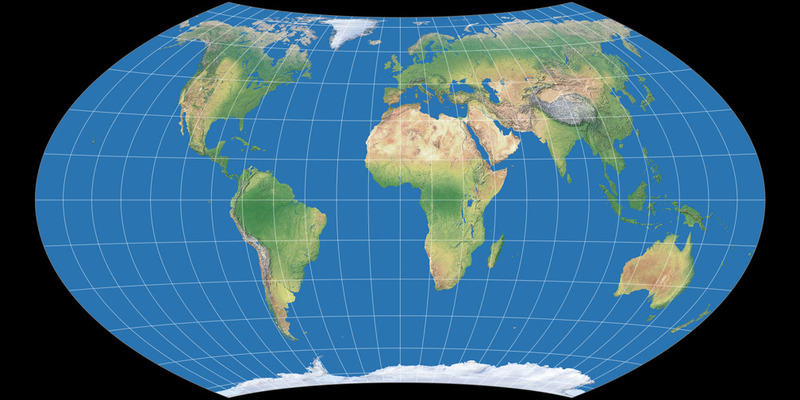 Starting fresh by creating a new projection with a catchy name might be the right thing to do if you want to get people to know that there are great, applicable equal-area map projections. 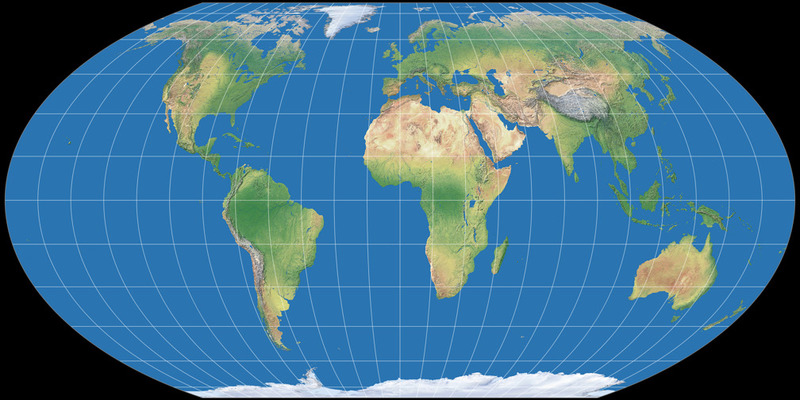 Currently, it’s not easy to find a wall map using an equal-area projection that is not Gall-Peters – there are a few but you have to enter very specific search terms to find them. The Equal Earth projection could change that – at any rate, I keep my fingers crossed that this will succeed. Personally, I still prefer other equal-area projection like Wagner IV, and especially projection of the lenticular class like Wagner VII or Strebe 1995. P.P.S. 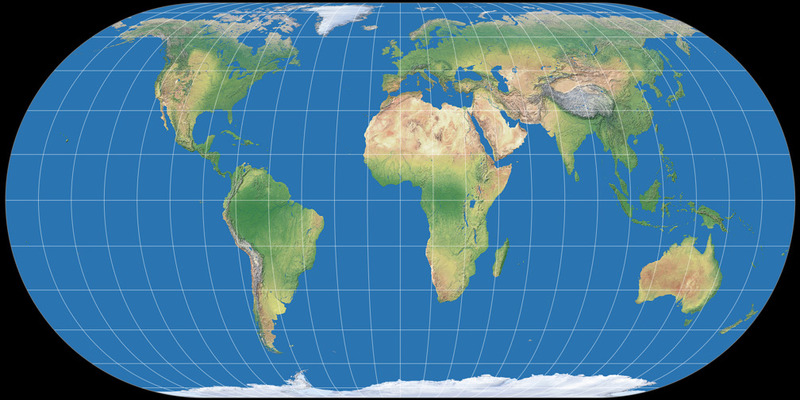 : It is a bit of a nuisance that some of these articles don’t quite get idea, and claim false things like »An accurate world map is something that has evaded cartographers for centuries, but this new design just might make distorted maps a thing of the past« or »this new map may be the closest to what the world actually looks like yet«, or even »they [Equal Earth’s creators] claim it is the most accurate [world map] yet«. Especially since Šavrič, Patterson & Jenny write nothing at all to encourage such misunderstandings. In fact, they even add distortions tables which clearly show that while the Equal Earth projection has favorable distortions patterns, some older projections have lower (= better) values of scale distortion and angular deformation. Furthermore, they clearly state that aesthetic considerations led to the final result. My favourite thing about this is that the paper explicitly references the Boston Public School adoption of Gall-Peters as motivation for creating the new map. 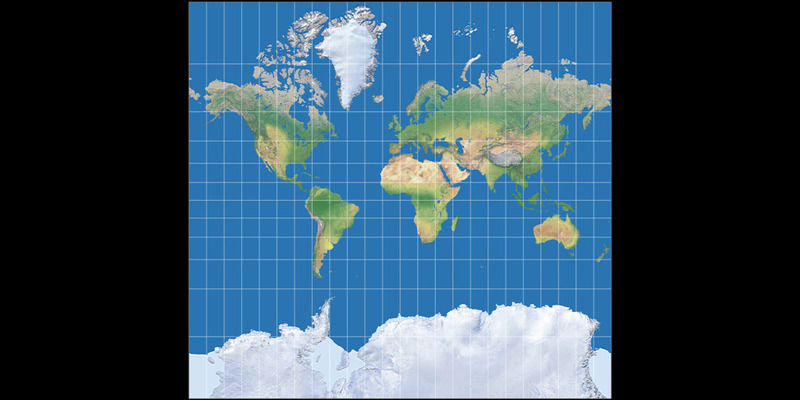 I think it's a clear sign that you're doing something wrong when professional cartographers respond to your map-related legislation by inventing a new map projection. Indeed! It didn’t occur to me before, but you’re right!